About us | Tecno Induzione S.r.l. 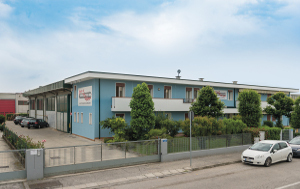 Tecno Induzione was founded in 1999 by technicians having a 40-year experience in the design and manufacturing of MF/HF induction-heating machineries. 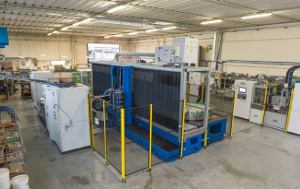 The company takes care of the whole heat-treatment process to ensure customers the best support. Facing a constantly changing market, Tecno Induzione responds with new solutions and ideas developed as result of its ongoing strategy of research, innovation and investments. 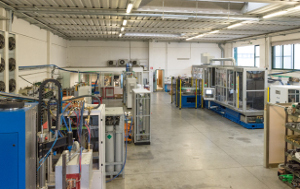 In addition to the supply of any standard equipment, Tecno Induzione rapidly evolved and specialized in codesign and manufacturing of customised turnkey machineries, equipped with multi-axis CNC-controlled units, in order to satisfy the most demanding customers in terms of quality and reliability. These machineries are suitable to be placed among customer’s production lines by means of automatic feeding conveyor belts, NC loading manipulators, random loading systems from piece containers, automatic shaped part loaders and CN loading/unloading robots. Special machine-integrated control equipments, as i.e. artificial vision and thermovision systems, allow high reliability of the working cycles. All machineries are fitted with teleservice system as a standard, speeding up all eventual requests for advanced diagnostics and intervention. Heat-treatments performed under protective-gas have raised considerable interest, especially for applications like “bright-hardening” and brazing. That’s what Tecno Induzione also deals with. At Tecno Induzione, any machinery ensures reliable heating process repeatability and control system is recording any work conditions and all heat treatment parameters. At Tecno Induzione we design, manufacture and repair inductors with or without flux concentrators for all various applications. Tecno Induzione supplies spare-parts, output transformers, accessories, triodes, valves, thyristors and whatever needed in this particular field of industry, always at competitive prices. We perform machinery revisions, modifications and retrofits according to current law regulations, including machineries even provided by different suppliers. We supply State-of-the-Art IGBT and MOSFET transistor-technology generators with powers ranging from 30 to 1500 kW in general. Different capacities up to 5000 kW and to 6 kW are available upon request. Our innovative series of frequency generators are stabilized in power and allow a constant power heating even above the Curie’s point. The offered wide choice of working frequencies generally ranges from 1 to 300 kHz and we allow the automatic frequency switching by using the same generator. Our machineries are generally dedicated to applications in the automotive, earth-moving equipment, wind power industry, military, cookware production and wrought iron sectors. Tecno Induzione makes use of his own MF/HF induction-testing machinery in order to perform heat-treatment trials. An internal laboratory is available for sample testing, equipped with durometers and microdurometers for the Vickers and Rockwell tests, sample-polishing machine and optical microscope for the control of the microstructure, hardness values, reading of the heat-treatment depth, webcam and software for image capturing. By means of our 40-year know-how, we are looking for innovative solutions in the field of induction heating technology, in which we believe, as it ensures clean and free harmful gas-emission workplaces for personnel’s and environment’s health. We undertake the ongoing commitment in order to reach energy efficiency together with the best qualitative results in metal heating.